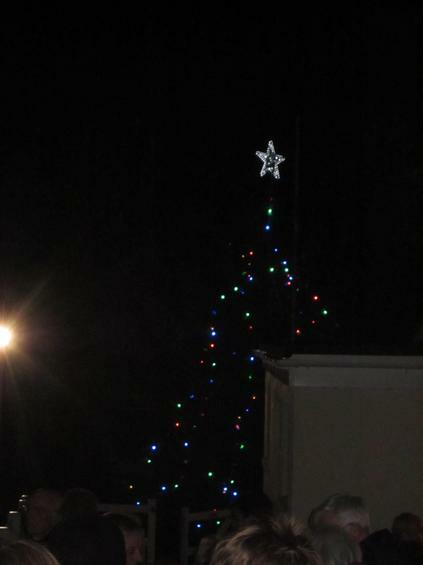 Tis the season to be jolly - with the tree now twinkling and many a carol sung, there really is a feel of Christmas in Wembury. 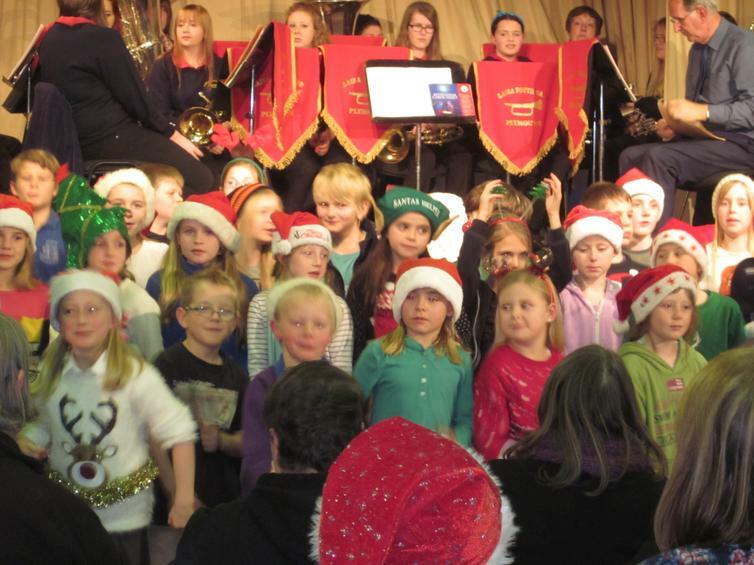 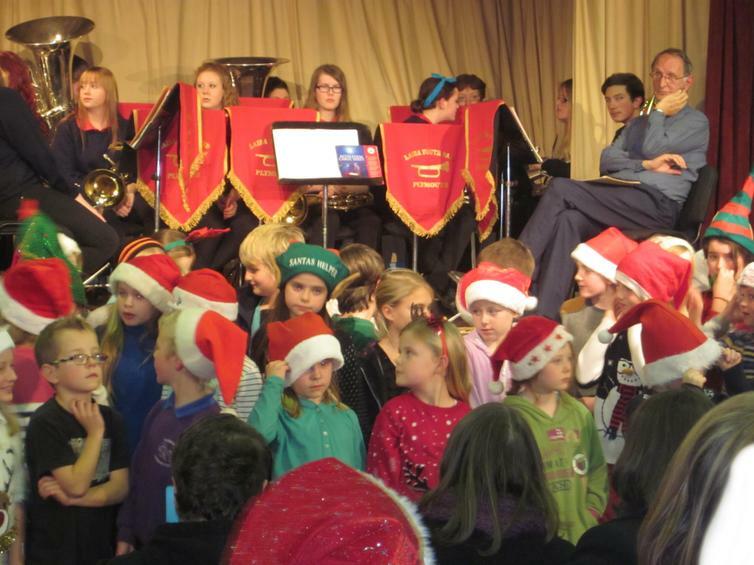 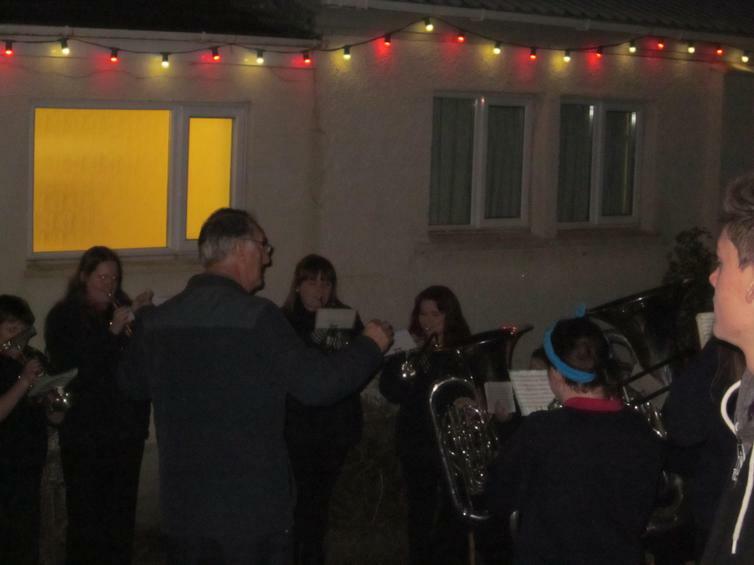 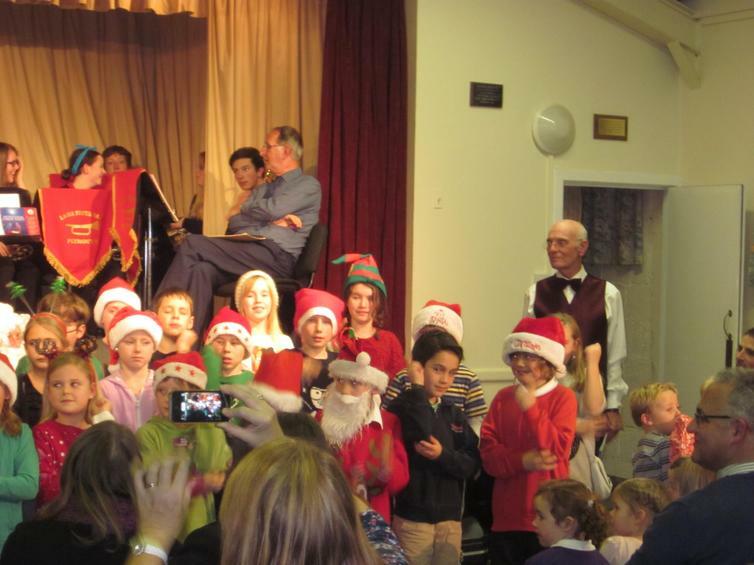 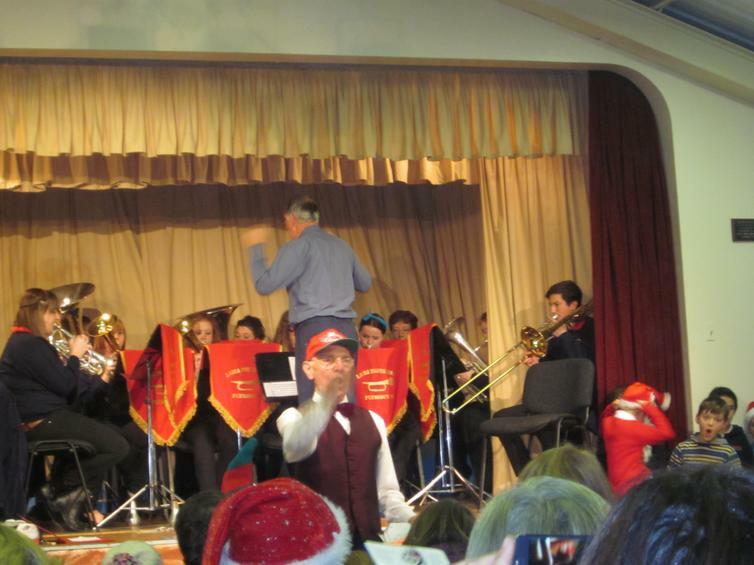 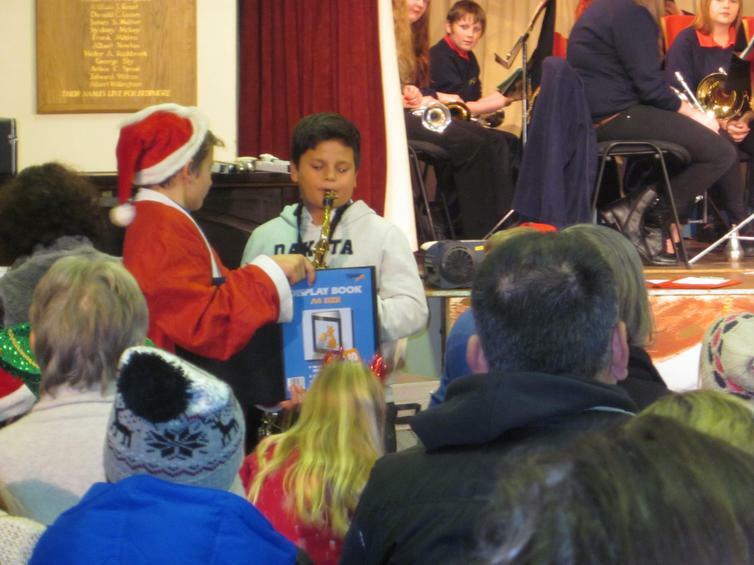 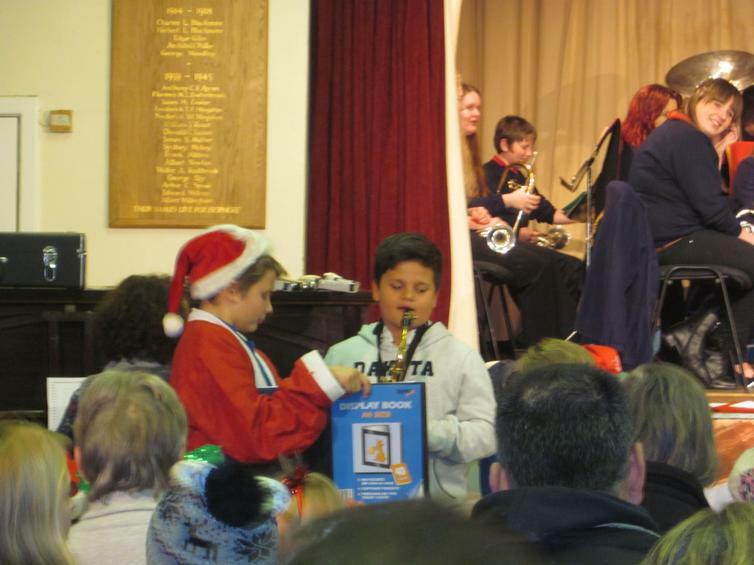 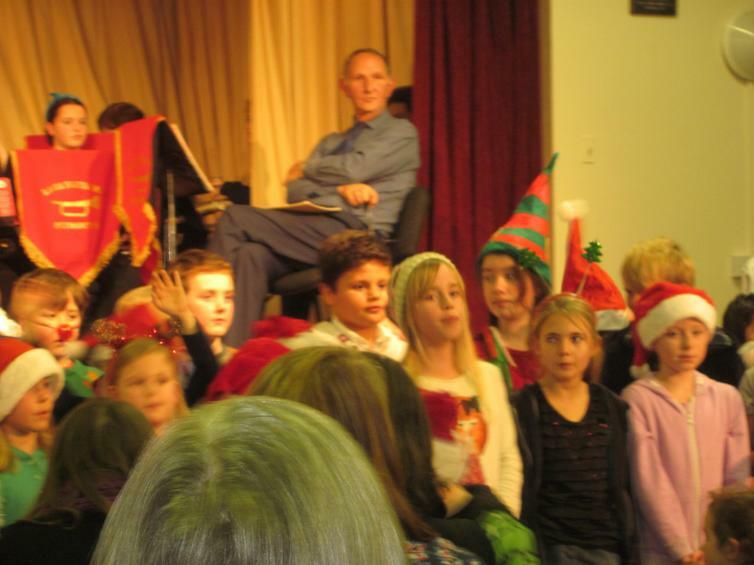 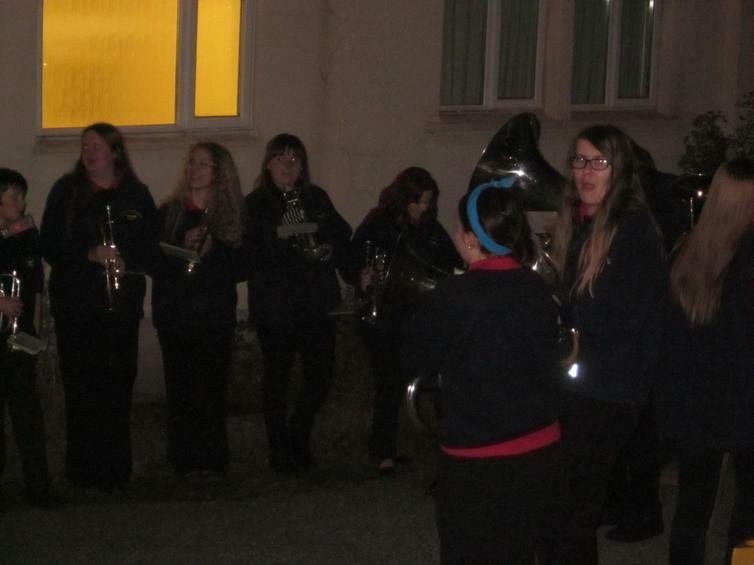 The Laira Youth Band accompanied singing throughout the evening and our amazing school choir entertained, with their seasonal renditions and actions, including Jav on the saxophone, Matthew on the drums and Meris and Jav for the reading. 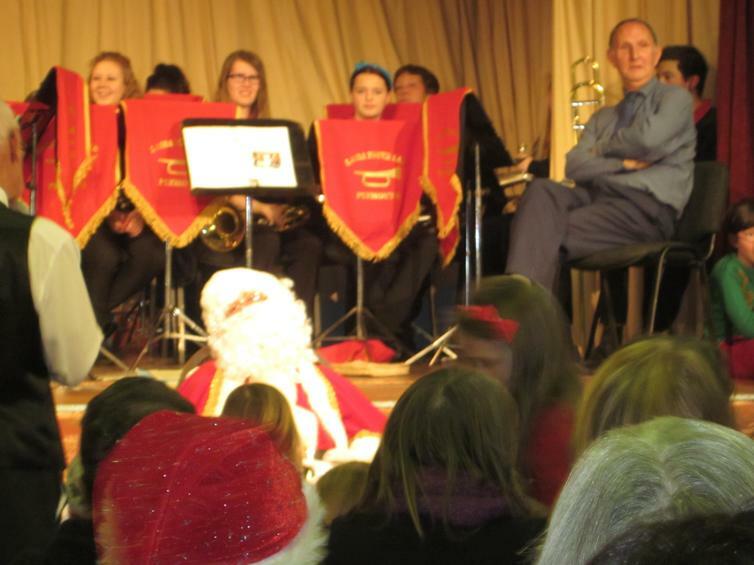 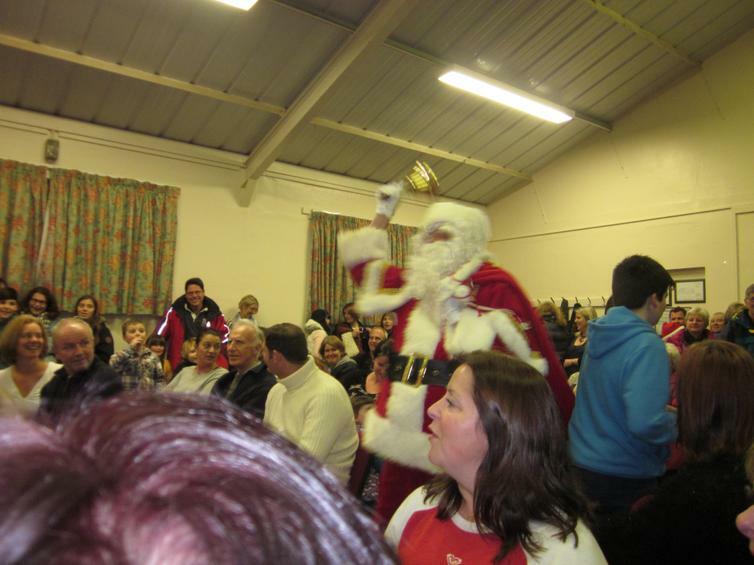 Mr Clarke, the organiser, ensured that all ran according to plan with Father Christmas receiving presents, from the children! 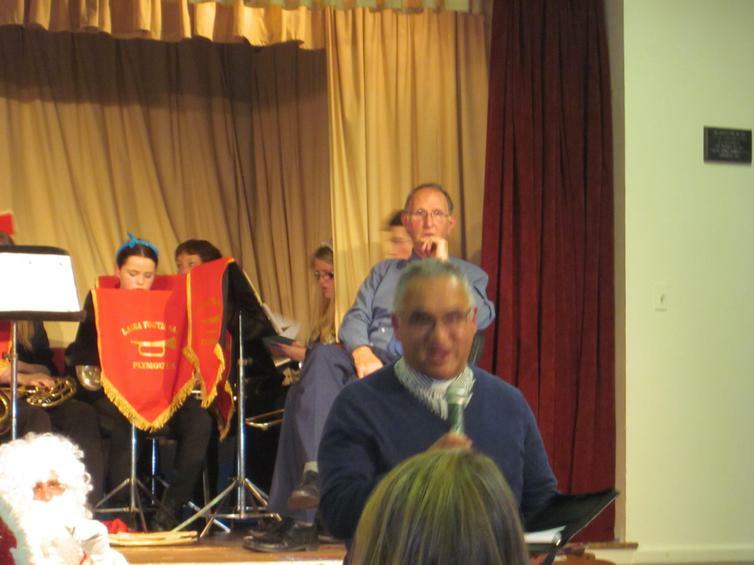 These are to be taken to the Shekinah Mission, for the less fortunate and needy over Christmas. 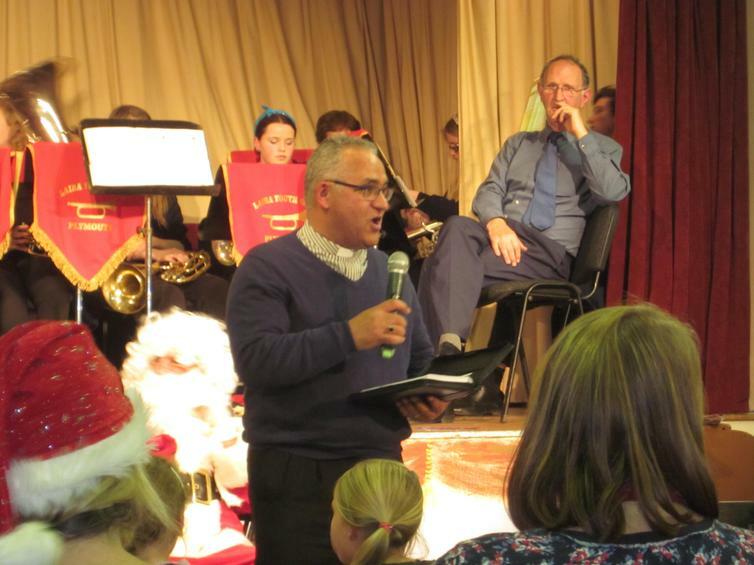 The Reverend Martin Kirkbride told his very entertaining Christmas story and ended with a prayer and blessing. 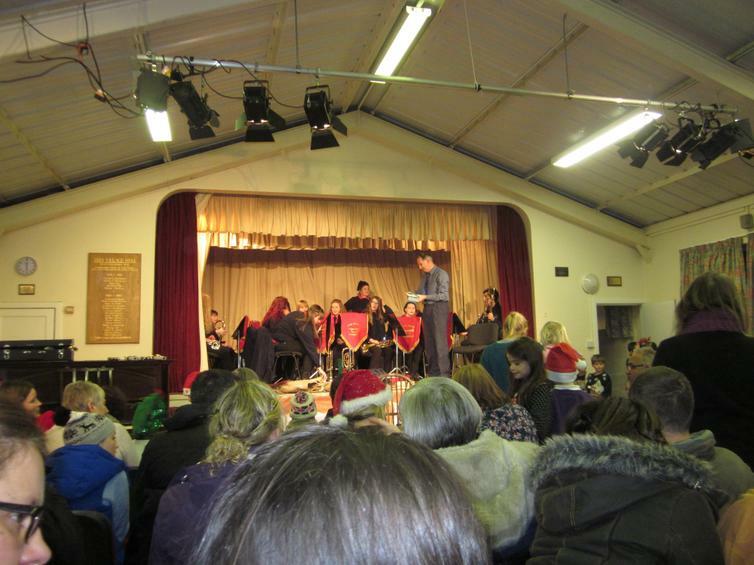 Hot mince pies with a glass of mulled wine were provided throughout the evening, by the PTA, so all in all, the senses were on overload. 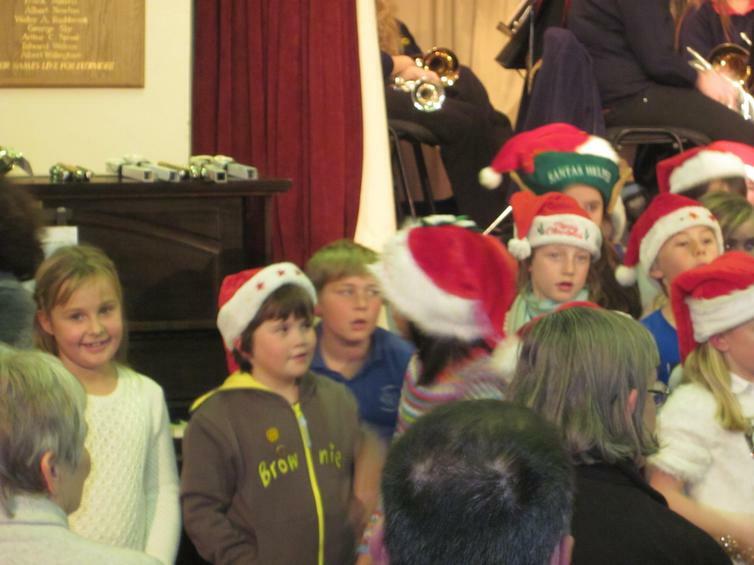 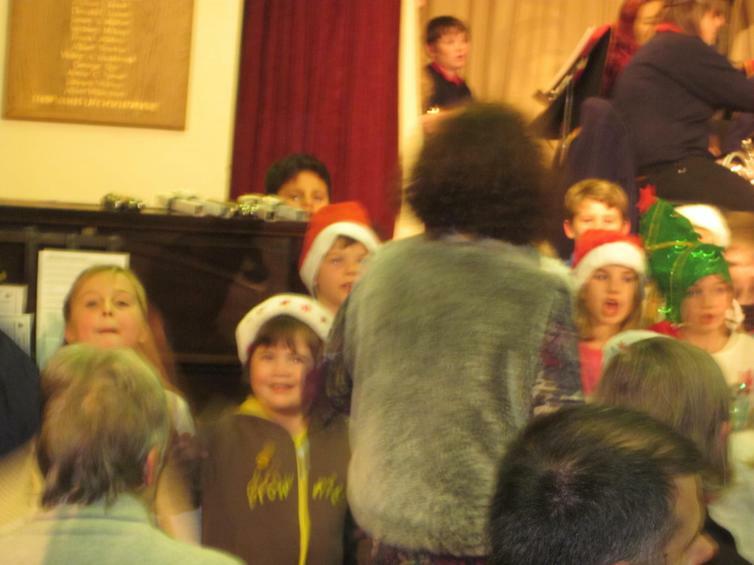 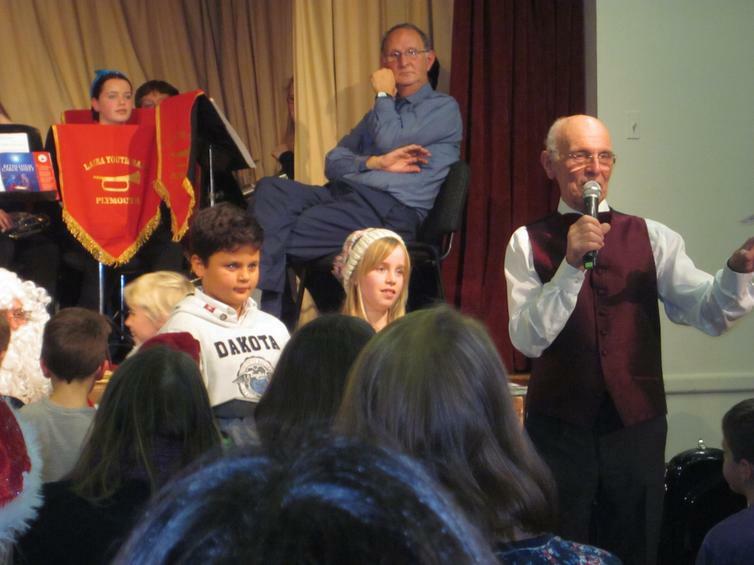 Well done to Terry and thanks to Ms Boucherat, the choir, Laira Youth Band, Rev. 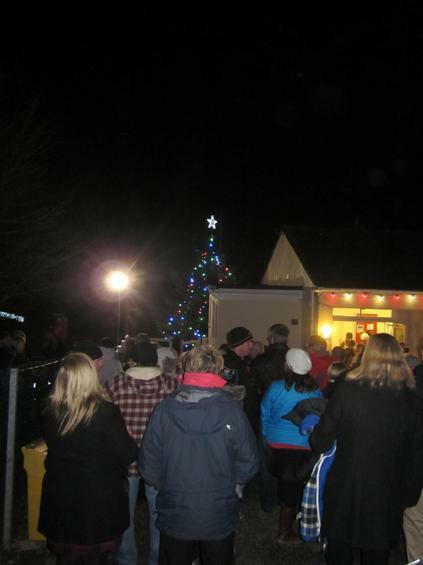 Kirkbride, Shekinah Mission the PTA and of course all who came to show their support.